Have you found an online vendor selling Lost Spirits Navy Style 61? Not meant to replicate any particular navy rum, this is an engineered imagining of what a navy rum might have been. It's got a touch of heat, but nothing too sharp. It's dark and meaty, and I get a good solid hit of butterscotch. It still has the "Lost Spirits" quality to it, but it's a pleasant departure and advancement of their technique. Recommend. This is an interesting rum. Piratejabez said the aroma reminds him of burnt buttered toast. I like that description and I'll go with that with a touch of honey, though this rum is relatively dry. Also smells and tastes of charred oak, black strap molasses, butterscotch, and spice. There's some interesting things going on here, but I find this rum is just a little dry for my personal liking. The tonic and soda really open up the rum, bringing the fruity notes forward and gives space for the really complex flavors A great tribute to sophisticated navy-style rums. The oak adds complexity without overpowering the rum. Its flavor is not erased by juice-heavy cocktails, though I think it really shines in a daisy or a tonic -- spirit forward drinks with just enough water or juice to bring down that 61%. 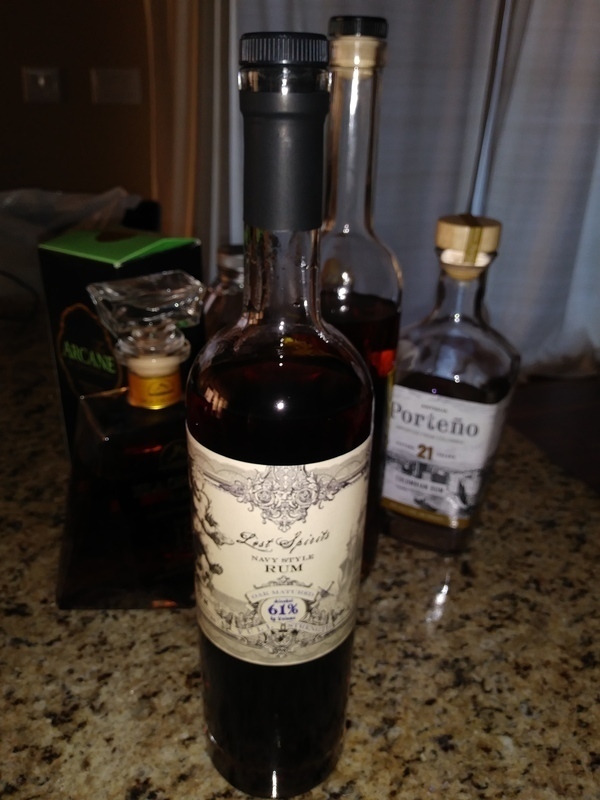 An excellent rum.